Cardi B attends the Tom Ford fashion show during New York Fashion Week at Park Avenue Armory on September 5, 2018 in New York City. Cardi B’s Fashion Week may not be going exactly according to plan, but there is one bright spot—literally. On Saturday, Tom Ford Beauty introduced its new line of Boys & Girls lipsticks, with a hue named for the entertainer in a shade as attention-getting as she is. 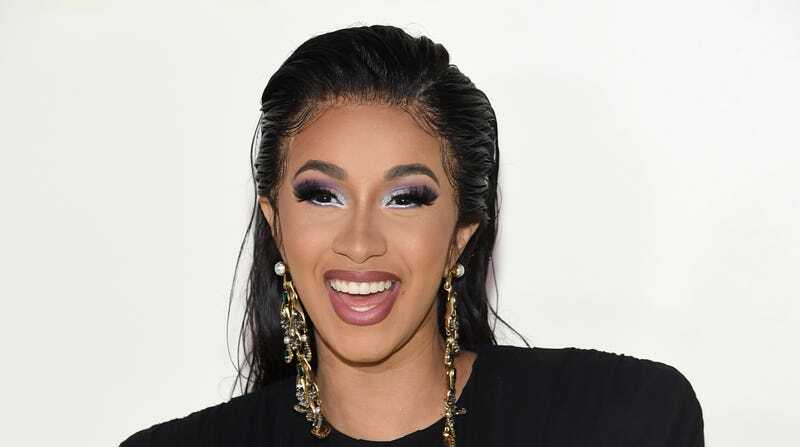 And while those familiar with Cardi’s lyrics (or background) might expect otherwise, her namesake shade is neither “bloody” nor “regular shmegular degular”—it’s not even “Bodak Yellow.” In fact, “Cardi” is a brilliant blue with a hint of shimmer. But if you were hoping to get your hands lips on this little bit of Cardi’s legacy, think again (or check eBay?). Within 24 hours of its release, the shade is already sold out.